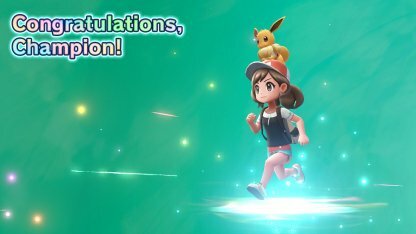 Read this Pokemon Let's Go Pikachu / Eevee guide & walkthrough on how to encounter and beat Red, his Pokemon lineup, battle tips & weaknesses! 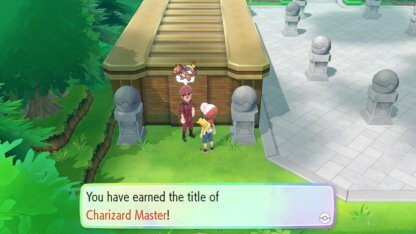 To unlock Master Trainers, which you need to encounter Red, you need to be the Pokemon League Champion & enter the Hall of Fame. 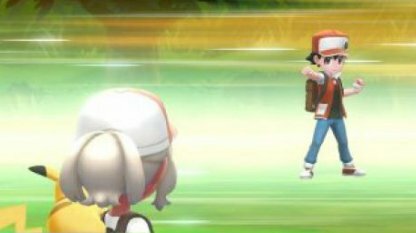 After unlocking the Master Trainer option, you need to beat 6 of them for Red to show up in his location. Check Out Master Trainers Here! Once you've done both pre-requisites stated above, go to the Pokemon Center in Indigo Plateau. You'll find Red standing here where you can finally face him! Like Green, you can challenge Red again after going through another round with the Pokemon League - Elite Four & former Champion. He'll still be at the Pokemon Center in Indigo Plateau. 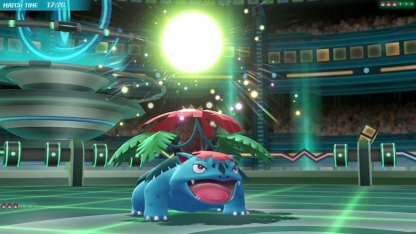 You can expect Red's Venusaur to Mega Evolve in this battle. 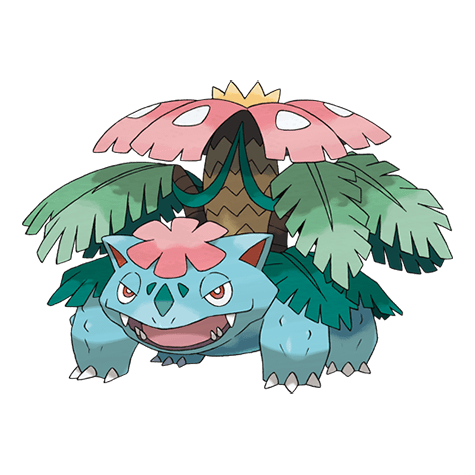 Bring a powerful Fire or Ice Type to counteract Mega Venusaur's raised stats! Red's Pokemon will be varying Types - Electric, Fighting, Fire, Water, Ice, Normal, and Grass. Level Pokemon that counteract these types to put up a strong fight against Red! 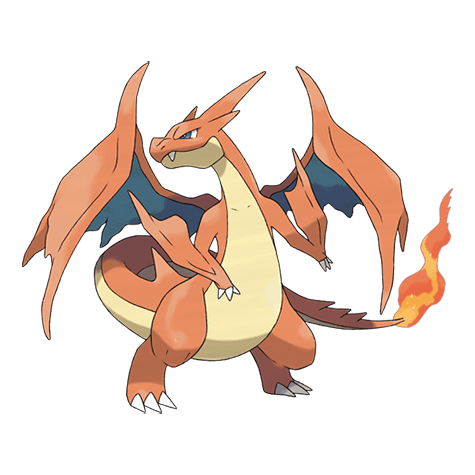 Mega Charizard Y Mega Charizard Y is a Fire / Flying Type. It can defeat Machamp with Flying attacks and burn Venusaur with Fire moves. Golem Golem's Ground Type attacks are powerful against Red's Pikachu and it can also damage Arcanine with both Ground & Rock moves. Gengar Teach Gengar "Taunt" via TM to induce Snorlax into physically attacking you. Since Gengar is impervious to phyiscal damage, use the free turns of no damage to hit Snorlax with powerful attacks. Machamp Bring your own Machamp into the fight and pit it against Snorlax and Lapras - both weak to Fighting Type moves. Alakazam You can also use Alakazam against the Machamp & Mega Venusaur in this roster. It can rain down Psychic damage to Red's Pokemon fast and hard. Partner Pokemon may be effective in the fight only when facing Lapras. Pikachu If properly leveled, Pikachu can fight against Red's Lapras as it is weak to Electric Type attacks. Eevee Eevee can provide a bit of damage to Lapras with its Electric move "Buzzy Buzz" but what's important is that it can cause paralysis and delay Lapras's attacks. Make sure your Pokemon's level is high enough, at par or higher than that of Red's, before facing him. His Pokemon are strong and can beat your Pokemon up before you know it. Red is a silent trainer you meet at the Indigo Plateau Pokemon Center after you've gone into the Hall of Fame and beat 6 Master Trainers. He may be quiet but his Pokemon pack quite a strong punch!